IMHS Environmental Club recently held a workday at Iron Mountain's School Forest. Members work on the eradication of two invasive species; honeysuckle and Japanese barberry. Iron Mountain's School Forest is a member of the Wild Rivers Invasive Species Coalition "Adopt a Spot" program. Amber Butterfield, WIRSC Project Manager, assisted in the eradication efforts. 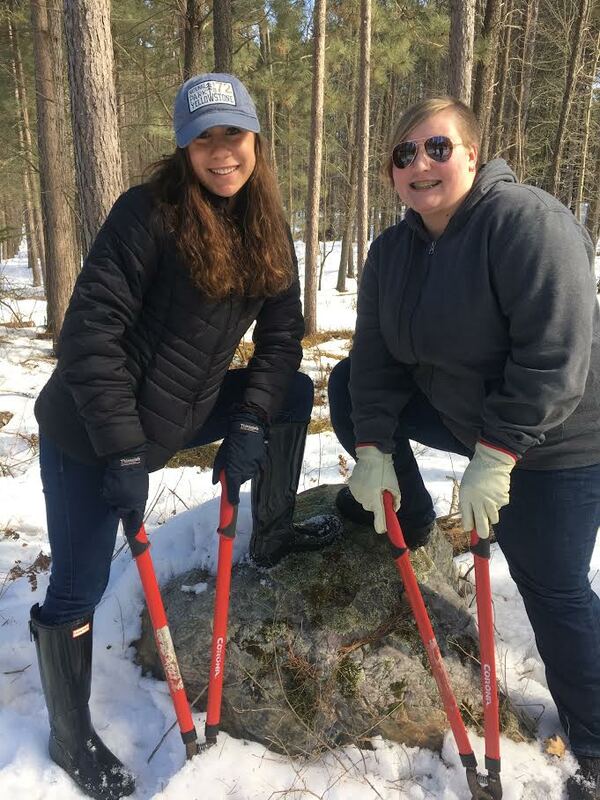 Members from the Iron Mountain Environmental Club recently worked in their school forest tackling invasive species threats. The IM School Forest was designated as an affiliate of the Wild Rivers Invasive Species Coalition “Adopt a Spot” program last spring. Dickinson Conservation District’s Lindsay Peterson and Ann Hruska assisted in the project. They discussed different types of invasive species in the forest and how they affect the ecosystem. The students split into three groups, two groups attacked two invasive plants, Japanese Barberry and Honeysuckle, by cutting the plants then spraying the stems with herbicide. This treatment will prevent the plants from growing back next spring. The third group worked on trail maintenance. The group of students made a big difference for the future health of the forest.